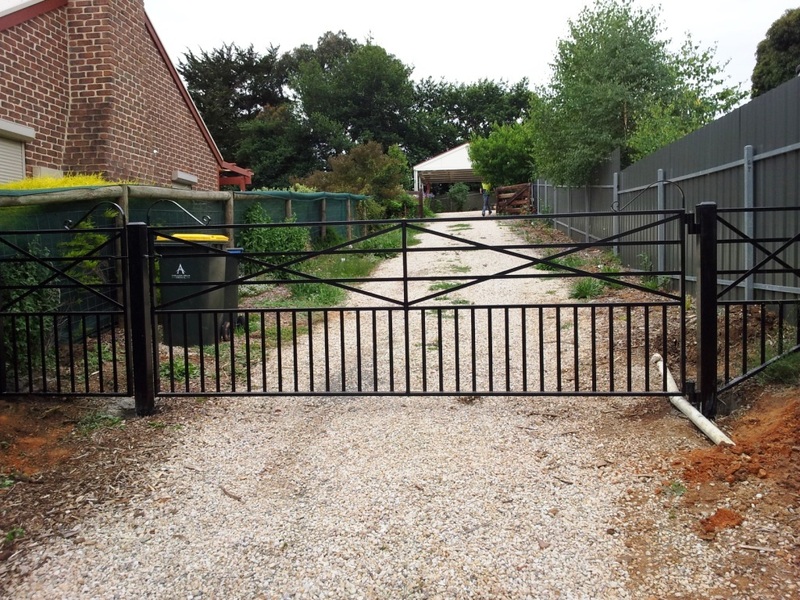 Making custom gates is what we do, not only tailoring the length so the gate fits well, but also offering custom gate styles. 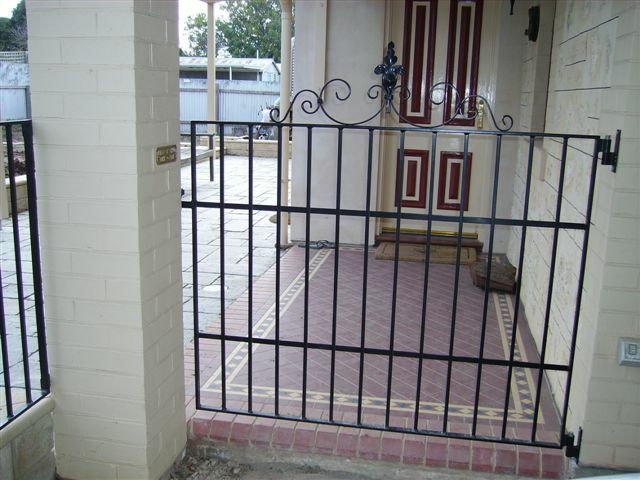 Gate manufacturers put out the same styles quickly, cheaply and in bulk. Their aim is to make quick money. Quality is no longer important. 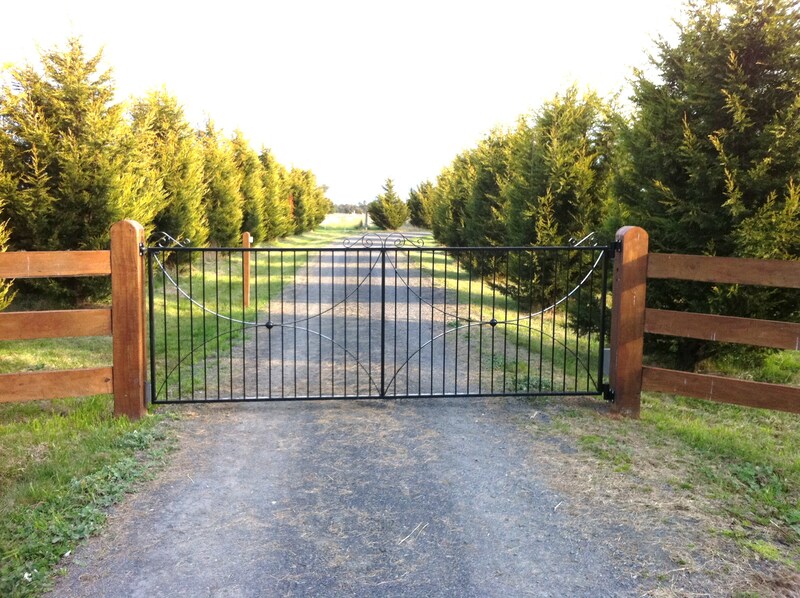 Redundancy is the game, forcing people like you to replace your gates often. In a world where waste is at record highs, Farmweld is bucking this trend. When selling your home, first impressions are pivotal in whether a prospective buyer will turn up at your open inspection, so it’s important to get their attention. You don’t get a second chance with first impressions. 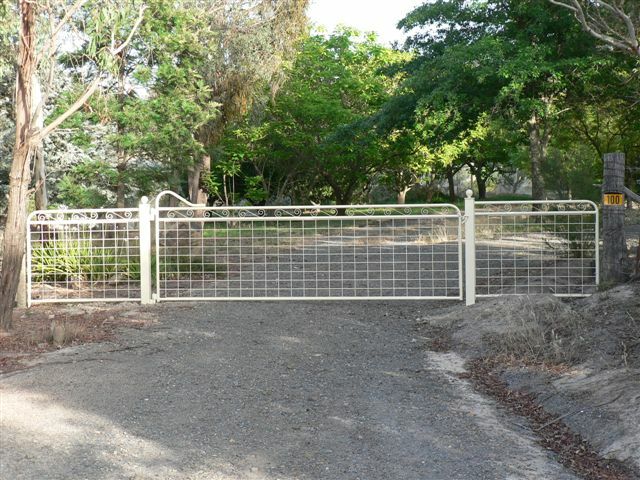 For this reason alone, a welcoming front entrance with a beautiful, high quality wrought iron gate can make a huge difference in how buyers view the overall quality of the property. The initial outlay in bettering the street appeal of your home, can add thousands to the asking price of your home as we all having buyers line up at your open inspection, wondering what other quality features the house has to offer. 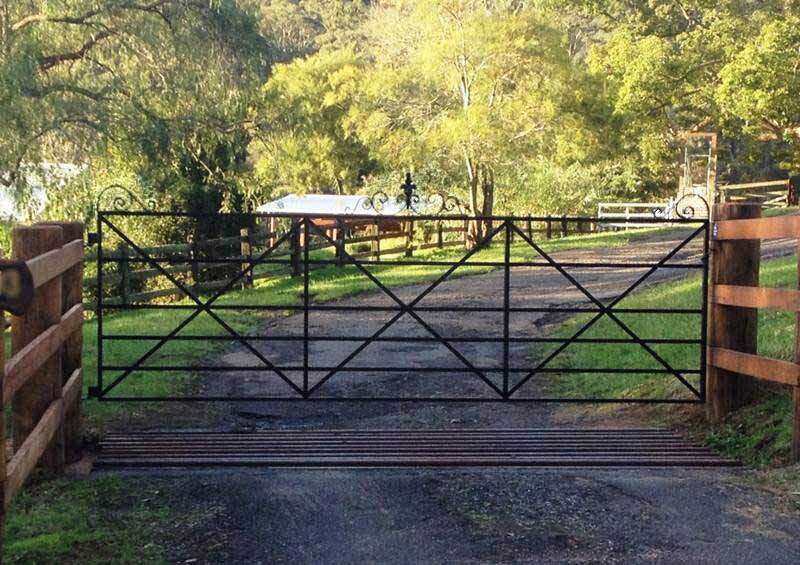 Our gates are absolutely gorgeous – thank you! They’ve turned out exactly as we had imagined them (if not better) and we couldn’t be happier with the result. Thanks again for all your help in developing the design, and for the outstanding workmanship of the end product – we’ll be referring people your way without hesitation. 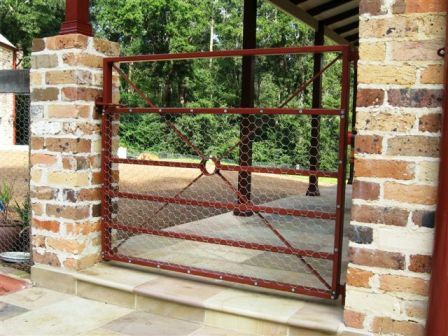 We are delighted with the gates, we love the design and my husband loves the robust construction. I can’t tell you how many people have asked about it and we happily refer them back to you! 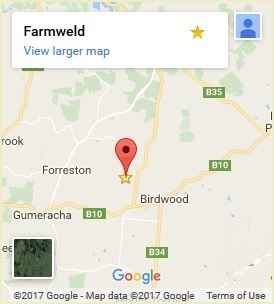 Farmweld understood exactly what we wanted and came up with this design that needed no alteration. 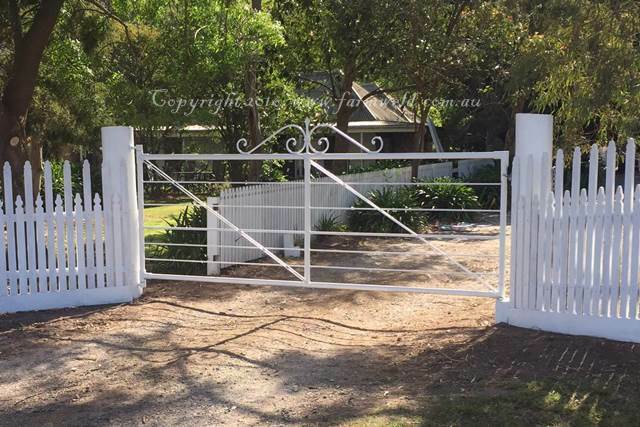 The gate and panels are really well made and look fantastic at the start of our drive. We have received many positive comments from friends and neighbours. 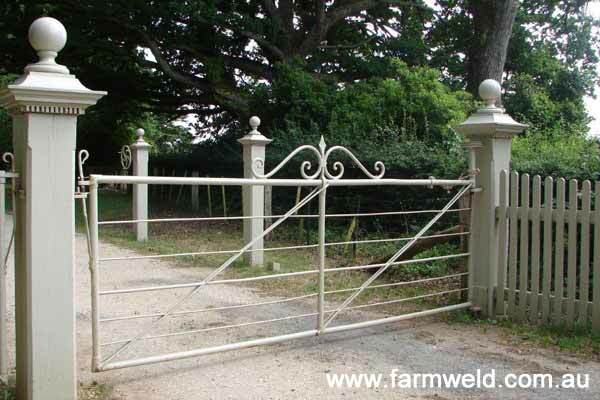 We recommend Farmweld to anyone who wants to have gates or panels made for a special area around their home or farm. We wanted to go locally. 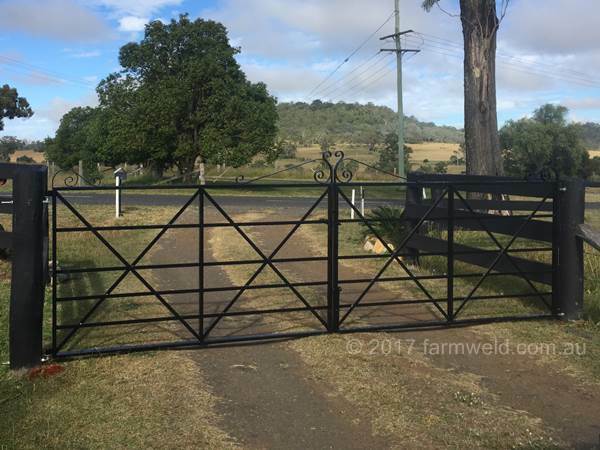 We wanted someone who could “translate” and meld both my and my wife’s ideas together and come up with a gate and fence we both liked. 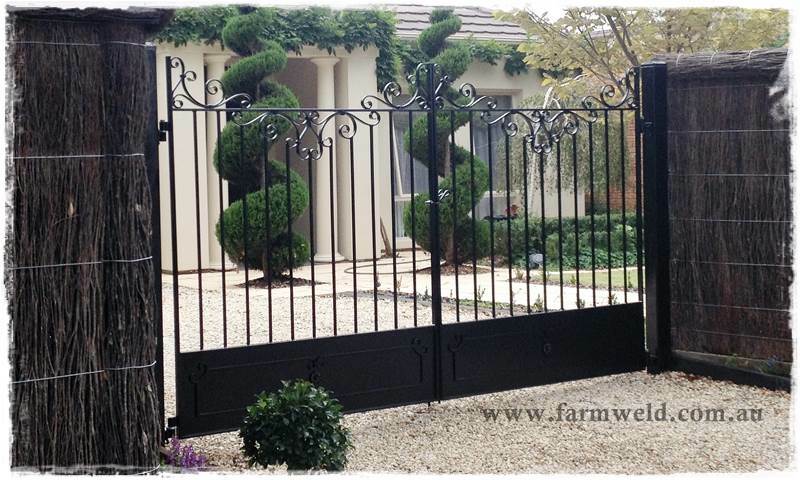 We also wanted a gate and fence that would last and fit in with our older style home.